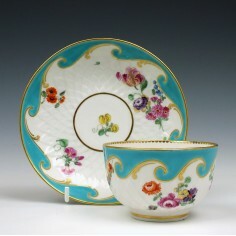 The history of Derby porcelain can be traced back to the mid 1700’s. 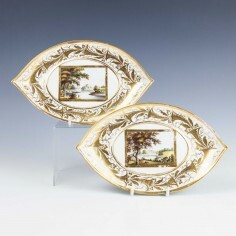 The first production is ascribed to a property owned by the Hutton family, at the eastern end of the River Derwent weir. 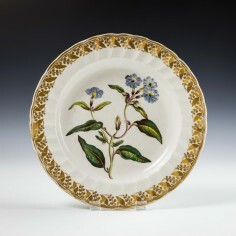 Tradition has it that the first name to be properly associated with Derby porcelain production in the truest sense should be that of Andre Planche, a Frenchman already resident in Derby before Hutton’s premises was operational. 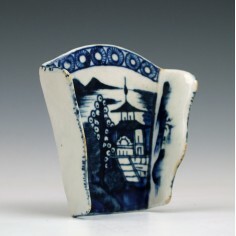 He is purported to have made small figures fired in a pipe-maker’s oven.There was already a pot works in the town, Cockpit Hill which is always referenced in early histories of Derby porcelain, which had been operational since 1708 under the auspices of Alderman John Heath. 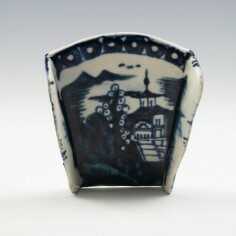 The same William Duesbury – enameller - who’s name is writ large in the annals of Chelsea porcelain noted that the porcelain blanks now beginning to appear from Derby were at least the equal in quality of those he was able to source, and subsequently decorate, from London.Duesbury drafted a deed under which Heath, Planche and himself undertook to cooperate in the production, decoration and sale of porcelain, using Hutton’s former riverside establishment. 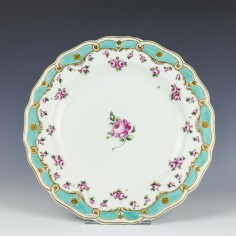 Although Planche seems to have become marginalized, the company is referenced at the time as “that of Duesbury and Heath”. 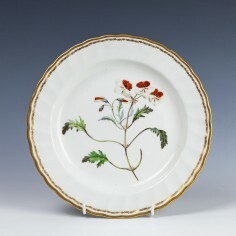 Quality increased steadily, and by the early 1760’s the partners were sending significant consignments of finished pieces down to London, with one such shipment having a present-day value of £1,650,000.00. Study of the bills of lading for this consignment illustrates the extraordinary variety and volume of pieces being produced. 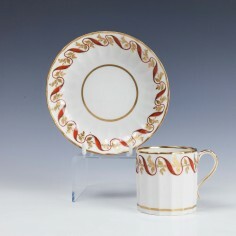 It was at this time that the reputation of the factory’s products was at its (contemporary) height, and in admittedly self-published advertising material, the “Derby Porcelain Manufactory” was proclaiming itself to be “the second Dresden”. Hutton’s former works were regularly extended and Duesbury who was now firmly at the helm with regard to production matters set about recruiting the best available talent and setting up apprenticeships to secure the future of the concern. It also became apparent, by the late 1760’s, that the Derby operation would benefit greatly from having it’s own outlet on the doorstep of it’s main market, London. Duesbury purchased the Chelsea works. This deal was finalised on 8th February 1770. Duesbury maintained what would now be termed “retail space” independent of the Chelsea works, at a former pub – The Castle Tavern – in Bedford Street, Covent Garden. This was both a warehousing facility and an exhibition area, and was the “front” for what had by now become “a very thriving and lucrative trade”. Ultimately, of course, the Chelsea site was closed down and the name Derby continued in increasingly splendid isolation, to the point where continued Royal patronage afforded Duesbury license to append a crown to his trademark. 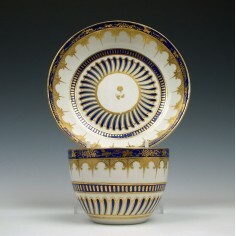 It’s worth noting that Duesbury also appended representations of the marks used on Sevres, Dresden and Berlin-made porcelain, as he considered his own wares to be superior to every other source other than those three. Duesbury died in 1785, at which point his son – another William – took over the reins of the company. The pressure of running such an auspicious business clearly weighed heavily on William II, however, and in spite of enlisting the help of his father’s former colleague, the Irish enameller Michael Kean, he was to also expire before the 18th century had run its course. Kean not only took on overall charge of the business, but also married William’s widow and the works passed in to the control of a grandson of the founding father, yet another William ! This third incarnation of the family name took the business up to the cusp of the Victorian era under the operating name of Duesbury & Sheffield (the latter being his father in law), when he chose to entrust the company to the running of a former clerk, Robert Bloor. 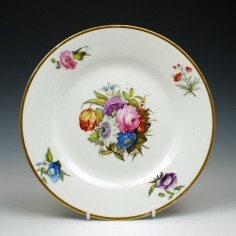 Bloor unfortunately did little to further the ambitions or reputation of the company due to his parsimonious attitude. 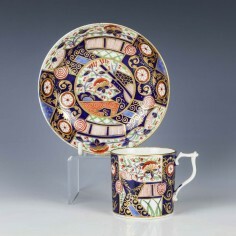 The Duesbury’s had always been rightly proud of the high esteem in which their wares were held, and did much to ensure they remained so by refusing to sell any item which had the slightest imperfection. Unfortunately, these “seconds” were warehoused, in huge quantities, rather than being destroyed, and Bloor went after significant amounts of easy money by selling on the imperfect pieces by way of auctions. 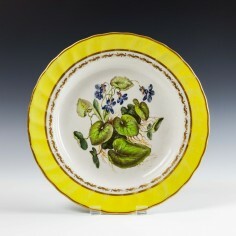 There was also a noticeable drop in the quality of newly-produced material, and – once Bloor had died – it was a fairly elementary decision by the newly incumbent manager, Thomas Clarke, to sell all the patterns and moulds to other concerns in Staffordshire and finally close down the works entirely in1848. 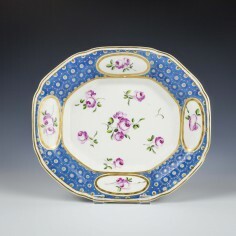 This closure left a number of disaffected former employees with little or no income and fewer prospects of betterment, but rather than bow to the iniquities of long-term unemployment, these gentlemen pooled their resources and resolved to revive the esteemed name of Derby china under their own steam. With two of these former workers at the helm, Sampson Smith and William Locker, the business was reconstituted at new premises on King Street, making much currency of the fact that there’s was an enterprise which was a continuance of the best practices of the Duesbury’s, highlighted by the fact that they retrieved many of the original moulds and patterns from the various recipients to whom Clarke had disseminated them. 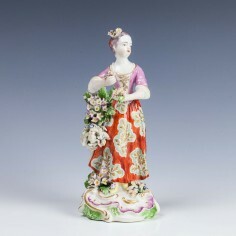 Stunning Derby figure of dancing Shepherdess c1765. 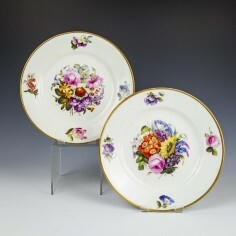 Pair of Derby porcelain plates, hand painted with a floral pattern. 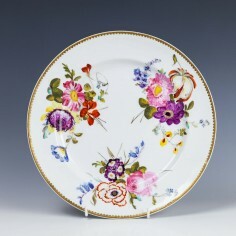 19th Century Derby porcelain plate painted with flowers. 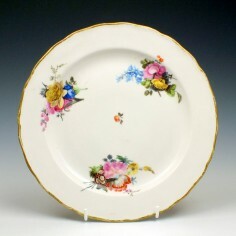 Come and see more antique porcelain at the Scottish antique shop online. 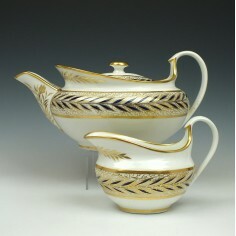 Derby teabowl and saucer hand Gilded by Thomas Soare in the sun flower pattern.